Advanced active ergonomics goes from sitting to standing with ease. Pivoting angled column moves with the body for constant alignment. 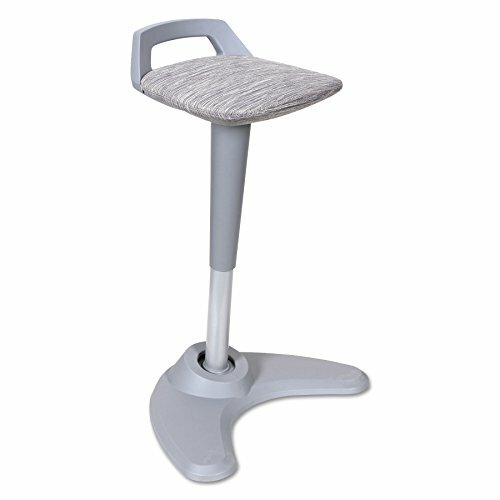 Great for perching for fast tasks or lean back and sit for more intensive focused work. Goes from sitting Height to standing Height. Perfect for use with Height adjustable workstations. Auto return swivel seat moves with the body as you twist, and returns to front automatically when you get up. Dual integrated Height adjustment levers for quick adjustments with either hand. Wide boomerang base for stability when leaning far forward.